LinkedIn has been prolific in the last few months in rolling out a huge range of new elements across the site, often first on the mobile devices before then trialling and releasing them on the main desktop version. 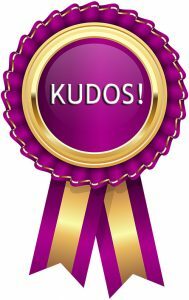 One such feature that seems to have just received the ‘desktop treatment’ is called Kudos which was released about 6 weeks ago on mobile and allows you to thank specific people in your network for standing out in some way. They do this by giving you the chance to create and post an update containing an image which looks rather like a type of digital postcard, thanking that person for standing out in some way. Now before you switch off, that’s really quite a nice thing to do. We know how powerful and important ‘Recommendations’ are on the site and while there are some amongst us (my hand’s firmly ‘up’ at this point) who are less convinced about ‘Endorsements’ because of the rather random way they are given by some (hey, I have double figure endorsements for my skill in ‘Extreme Ironing’ which is fairly random in itself), there is clearly an attempt with Kudos not to let in get out of hand. How are they going to achieve that, I hear you ask? Well, in order to make them stand out and be a bit more special, they are limiting us to sending a maximum of 3 per week, and so hopefully encouraging people to give a little more thought when giving them out. 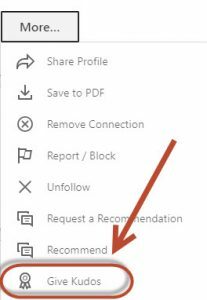 If you head on over to the profile of one of your connections – logically you can only do this to someone you are connected to – you should then look for the ‘three dots’ or ‘More’ button just to the right of the ‘Message’ button. 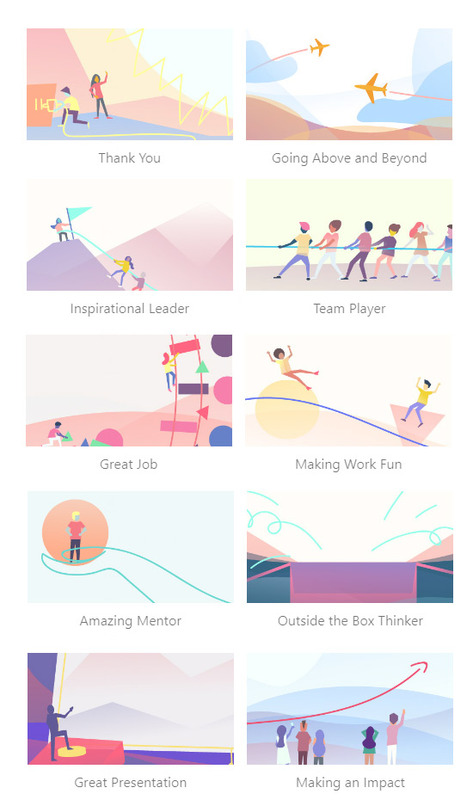 Click on that and at the bottom of the list, you will see a small ‘rosette’ image – this is where you can start to give others the recognition or ‘Kudos’ that you feel they deserve – on the mobile app, it works in very much the same way (which makes a nice change in itself!). Kudos to the developers! Sorry, I got carried away for a second there. Clicking there then walks you through the process which is thankfully really short as most of the work is done for you. You first step is to choose something that you wish to recognise your connection for and therefore select an appropriate message and associated image to send out. There’s no option to add your own at the moment but I suppose that could be possible going forward, though I think that would open up a proverbial can of worms that would best be avoided. As an aside, I still remember the choice selection of skills that some co-workers gave each other when you could add ‘Skills’ to other people’s profiles. In this way you have an image, the name of the person that you are recognising and what you are recognising / thanking them for all in one nice ready made picture. 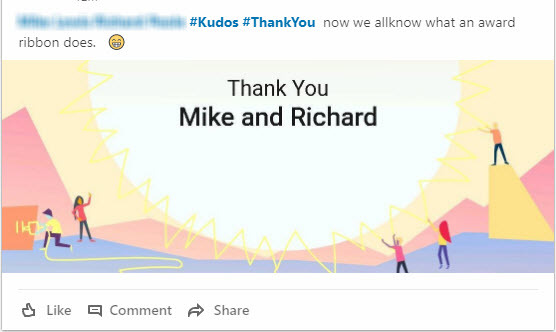 As a final element, LinkedIn puts this together in a post format together with a ‘mention’ so that the person receives a notification that they have been recognised together with a #kudos hashtag and a hashtag for the reason they been ‘kudos-ed’ ie. #amazingmentor. So there you have it – nothing earth shattering it has to be said but a nice additional way of giving people a small pat on the back and a friendly thank you to boot. And we can all do with that now and again … can’t we? 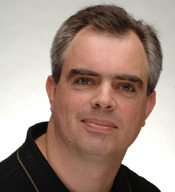 This entry was posted in LinkedIn Site Changes, LinkedIn Tips and tagged Linkedin Endorsements, LinkedIn Engagement, LinkedIn kudos, Linkedin Site Changes. Bookmark the permalink. 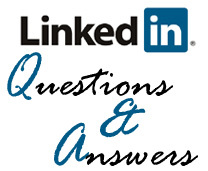 ← Who can see your email address on LinkedIn?